Reem Al Hashimy, the Minister of State for International Cooperation and director general of the Expo 2020 Dubai Bureau, said this week work on the expo site will begin soon. 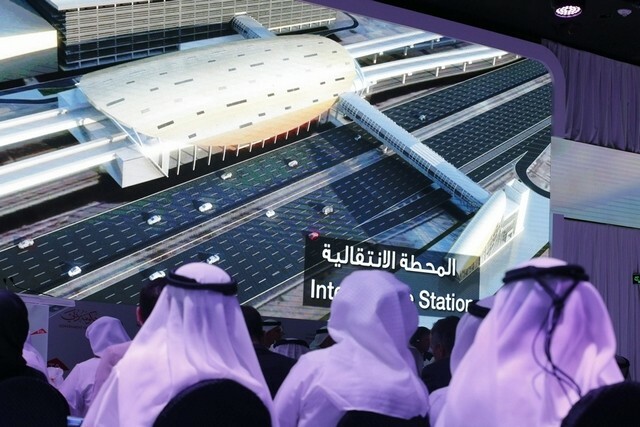 Tenders for links from the site to Sheikh Mohammed Bin Rashid Road have recently been floated, and infrastructure works packages at the neighbouring Al Maktoum International Airport are due imminently. New awards will comfort industry leaders, whose outlook on the sector has been growing increasingly pessimistic after projects and payments stalled amid weaker oil prices. The improving market in ­Dubai contrasts with Abu ­Dhabi, which Mr Timmons described as “flat”. “The UAE is slightly split in terms of Abu Dhabi and Dubai,” said Mike Collings, the Middle East director of project management consultancy Turner & Townsend. “We’re still busy in both locations but we’re aware within our peer group that there are other consultancies who have made redundancies [in Abu Dhabi] and slowed down a little bit,” he added. Many private-sector developers have pledged to deliver projects ahead of Expo 2020 and are also keen to get projects under way. Emaar Properties, for example, is working on several elements of its Dubai Creek Harbour district, which is more than twice the size of Downtown Dubai. Mohamed Alabbar, its chairman, said work is due to start this month on the district’s tower that will be 100 metres taller than Burj Khalifa. The Dubai developer recently invited expressions of interest from contractors to build a 1.4 million square metre mall, which will be about 30 per cent bigger than Dubai Mall. Hotel development work is also continuing, with property brokers JLL indicating this week that more than 10,000 new rooms are scheduled to come into the Dubai market this year. The emirate had 82,760 rooms at the end of the first quarter this year, but is expected to have more than 100,000 by 2020, according to STR Global, a research company for the hotel industry. Regionally, the construction outlook remains dim. The regional market has been affected by government clients scaling back projects, while privately owned developers have been “faced with more limited access to finance” as banks cut their exposure to property and construction. Hamed Madani, the head of consultancy and business intelligence at engineering design company Aecom Middle East, said a survey conducted by the company indicated new project awards this year were likely to be lower than last year in value terms. The UAE, and Dubai in particular, had been identified as a priority market for three-quarters of the organisations it surveyed, he said. Mr Madani said that government-led projects account for the bulk of the industry in Abu Dhabi and that these “have been scaled back, with non-priority projects all but on hold”. Only 21 per cent of bosses are predicting growth in the construction sector over the next 12 months, compared with 75 per cent in the same period two years ago, according to PwC’s recently published Capital Projects and Infrastructure Survey for the Middle East. Chris Scudamore, the leader of the survey, said the results were particularly downbeat as the study was conducted in the early part of this year, when the oil price was at its lowest. But he said that projects are more likely to be delayed than cancelled. The region’s listed contractors are expected to post another poor quarter of results as companies have to contend with a lack of new project awards, declining revenue and shrinking margins, according to a report released this week by Egypt’s investment bank, EFG Hermes. Company disclosures on contract wins by major listed contractors show a 75 per cent decline in new awards, the bank said. France’s Alstom is leading the Expolink Consortium that was awarded the Dubai Metro contract, alongside Spain’s Acciona and Turkey’s Gulermack. France’s Thales Group is also providing systems technology.